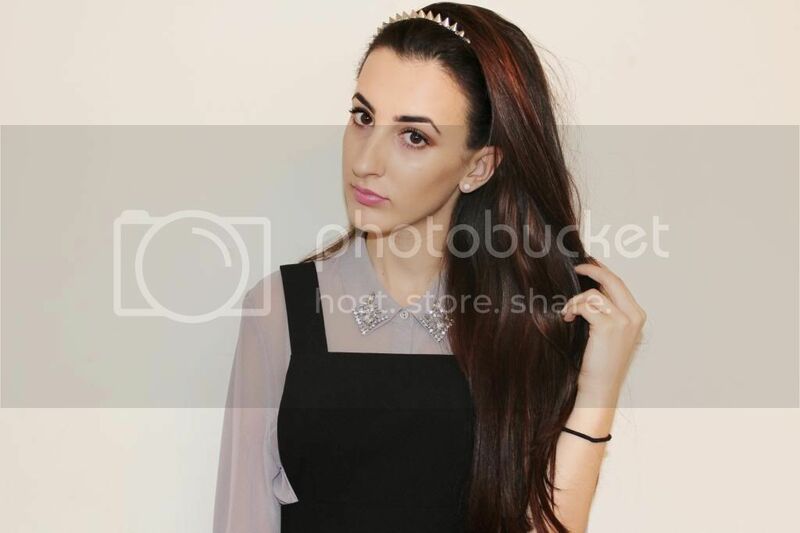 I've been lusting over a pinafore style dress for ages now and saw this dress on, Miss Selfridge just before Christmas. However, it was £39 pounds so that kinda put me off, especially so near to the festive period. I made it my mission to find one similar in the sales. Luckily, I found the exact same one that I wanted hidden within the mounds of clothes on the Miss Selfridge sale rails and it was in my size and the only one left! I don't think I've ever been so happy, as I never really enjoy sales shopping at all. To top it all off, it went down from £39 to £20 and as I have student discount, I got this beauty for a bargainous £18. I love pinafore dresses because of the fact you can layer different tops/jumpers underneath, like I have done with my H&M blouse and it's beautiful embellished collar. Plus, the pinafore style is quite versatile - you can wear this look to work, out and about or out partying depending on what you wear with it underneath. 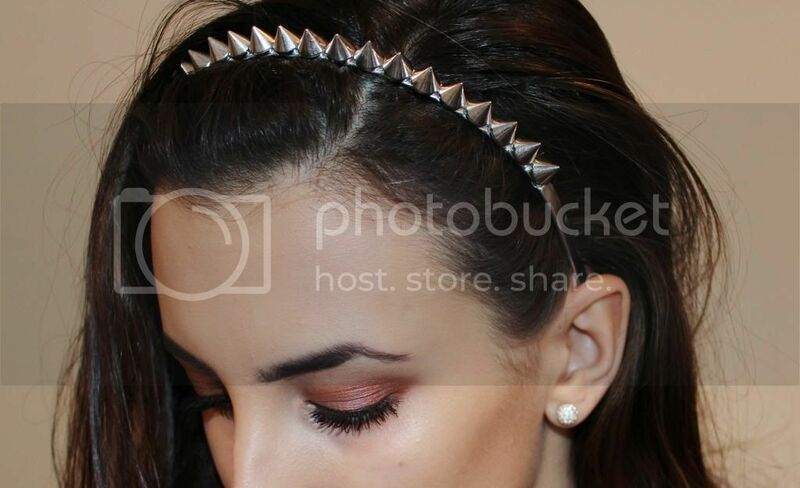 To keep with the Silver/Grey cool tones, I thought jewellery would be too much with the collar so I wore this spiked Primark headband which was also super cheap at £1 (or £1.50) I can't remember exactly. It adds a different texture and, 'edge' to this typically girly outfit. I wore this to a birthday party so also wore heeled brogues. 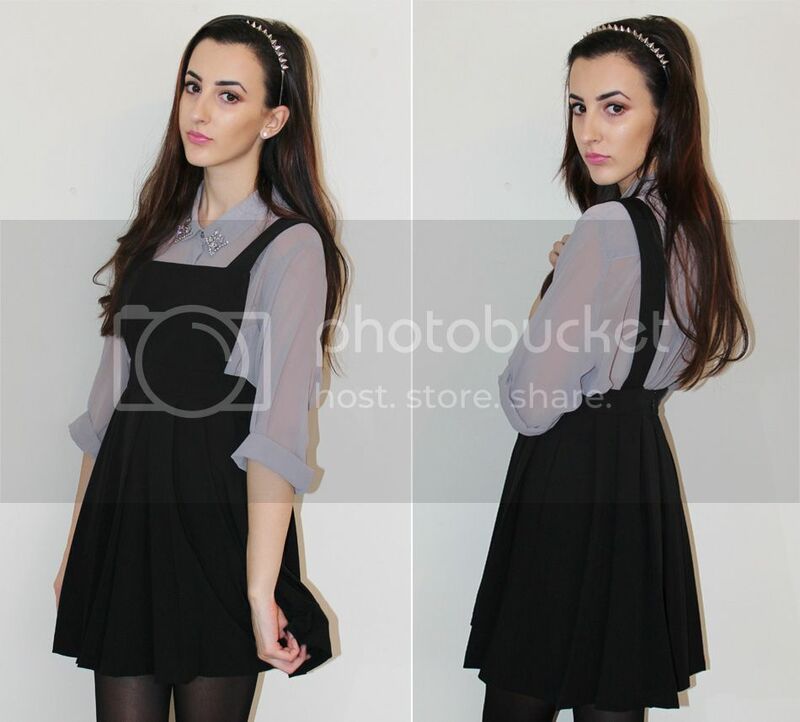 Is anyone else loving the pinafore look?